Cage One 2100 Diet Delivery Food/Water Inserts Lab Housing for Small Animals . New Life Scientific, Inc. 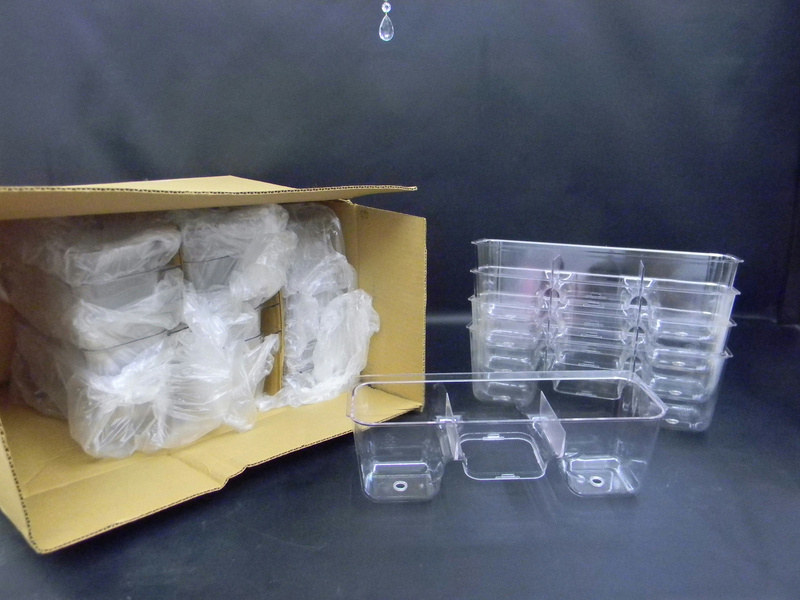 This is a case of 20 new clear inserts for cages for diet delivery. Its 3 division insert that holds water and food feeder bottle. These are the top feeder holders.